Jamie Gabb is the brains behind the operation to coordinate 15,000km of gas transmission pipelines and associated assets across Australia. 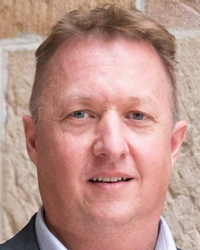 Prior to joining APA, Jamie was the Integrated Startup Operations Manager for BG Group’s Queensland upstream gas facilities on the Queensland Curtis LNG project (QCLNG). Prior to joining the gas industry, Jamie worked for 16 years in a variety of O&M, engineering, project, and asset management roles in the electricity sector across Australia and Europe. A member of the Institute of Engineers Australia, a member of the Society of Petroleum Engineers and a Registered Professional Engineer in Queensland, Jamie holds an MEngSc from Queensland University of Technology and a bachelor’s degree in electrical and electronic engineering with honours from the University of Queensland.